Jesus withdrew toward the sea with his disciples. A large number of people followed from Galilee and from Judea. Hearing what he was doing, a large number of people came to him also from Jerusalem, from Idumea, from beyond the Jordan, and from the neighborhood of Tyre and Sidon. He told his disciples to have a boat ready for him because of the crowd, so that they would not crush him. 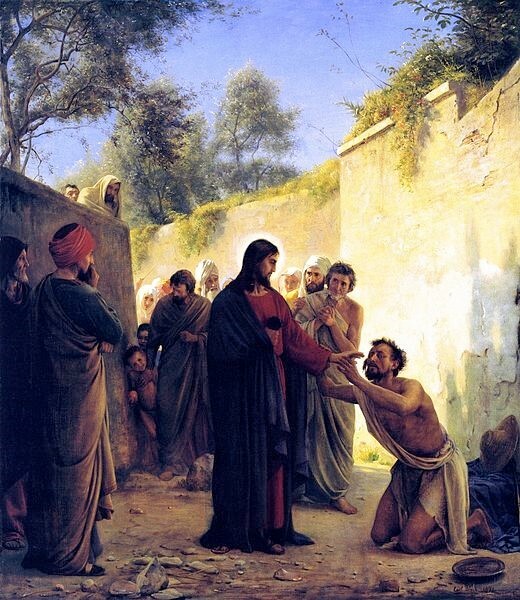 He had cured many and, as a result, those who had diseases were pressing upon him to touch him. And whenever unclean spirits saw him they would fall down before him and shout, “You are the Son of God.” He warned them sternly not to make him known. Why were so many people attracted to Jesus? How anxiety inducing it must have been for Jesus to be followed by a mob of people all looking to place a hand on Him. As the Son of God, Jesus could read the hearts of those in the crowd. How it must have hurt Him to feel their pain. How He must have desired their love. How could a man with such a following be condemned to death? How could the same people that once followed him with complete surrender, offer Him up to die? The crowds were so amazed by Jesus that they lost sight of loving Him. While Jesus wants us to come to Him for healing, He desires authentic relationship with us. How often do you simply spend time with Jesus? Take time today to reflect on the times you have been touched by the healing power of God. Evaluate how you showed gratitude in this situation. If you did not, say a prayer of Thanksgiving for God’s intervention. Offer the gift of your presence to Him sometime this week by attending adoration. You are a gift that He cannot wait to receive. He will heal any part of you that makes you doubt this. All you must do is allow Him to.